Thank you so much! I’ve had to put them away to stop myself petting them, lol! 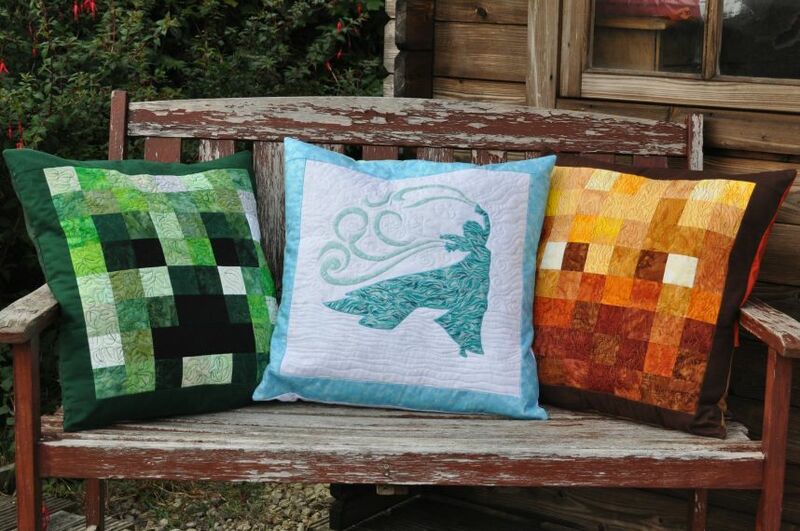 These are some of the prettiest pillows I have ever seen. You’ve given me a couple of ideas with that middle one. And I love the backs. Thank you for your kind comment, I’m thrilled that I’ve given you some ideas and would really love to see where you take them. 🙂 The backs happened like that because I couldn’t find enough fat quarters all the same colour, then I decided a two-tone look was more fun anyway – I’d do it again in a flash! I really love all three of these. 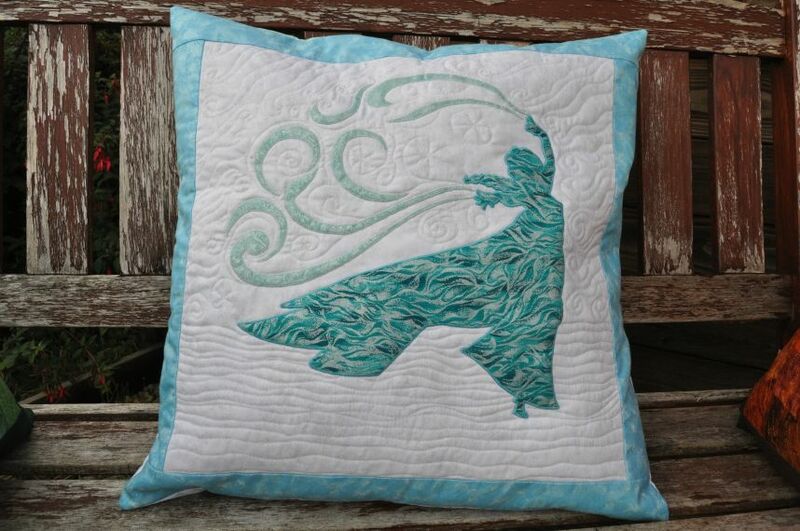 The colors are gorgeous, and I love the quilting you’ve done on Elsa! 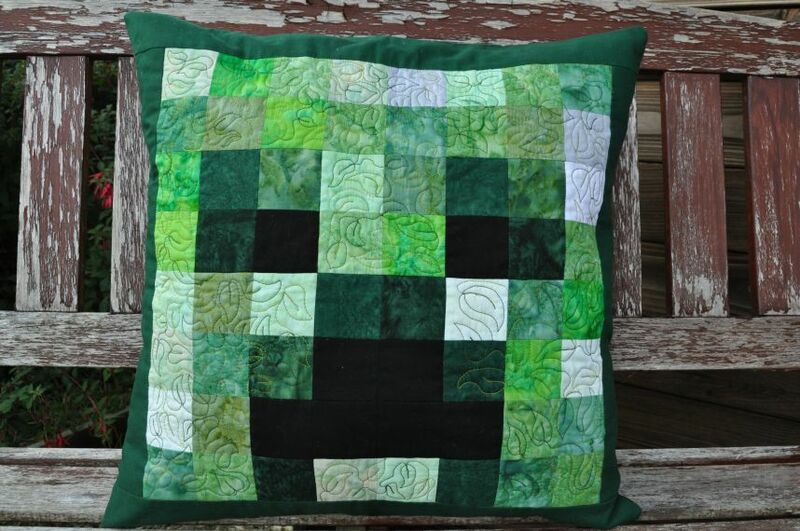 Lovely lovely pillows! I’m sure the kiddos who receive them will be over the moon to have something so beautiful and one of a kind. 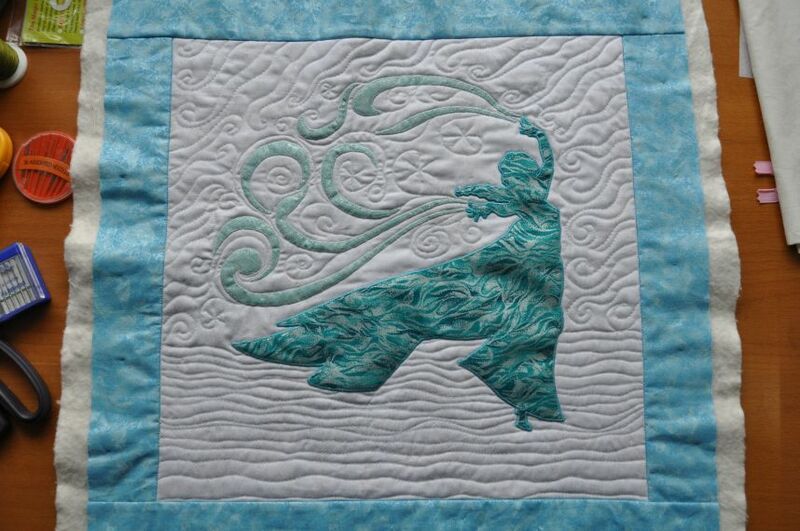 The quilting on Elsa is… wow! Thanks for linking up with TGIFF! Fabulous job! 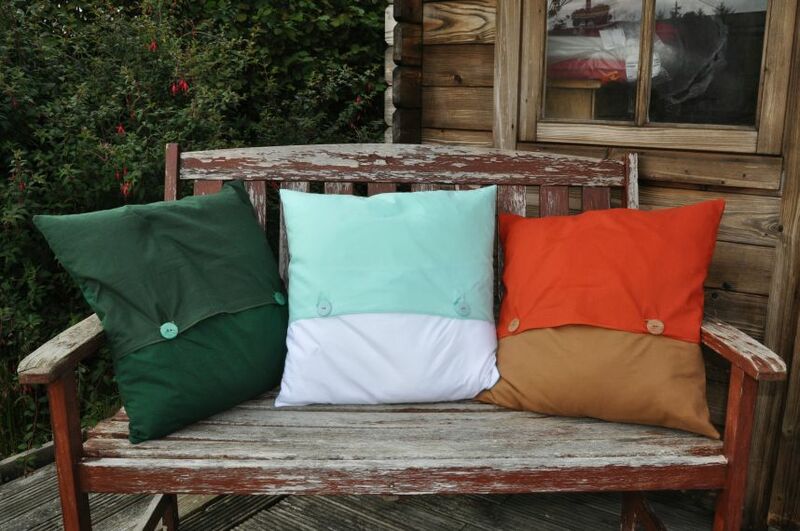 I love the way that the cushions are designed specially for each child, with such different colours and quilting designs, yet still make a co-ordinated set of cushions. I’m sure the children will love them. Thank you for linking up with Free Motion Mavericks. 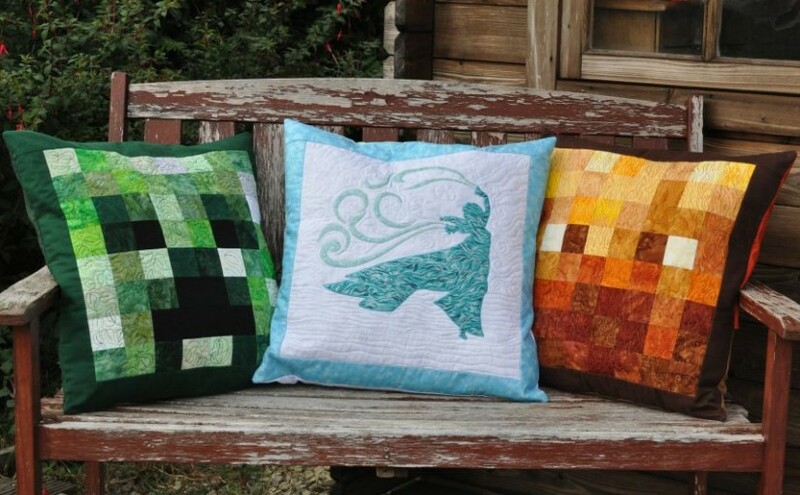 Your cushions are this week’s featured project! Wow! 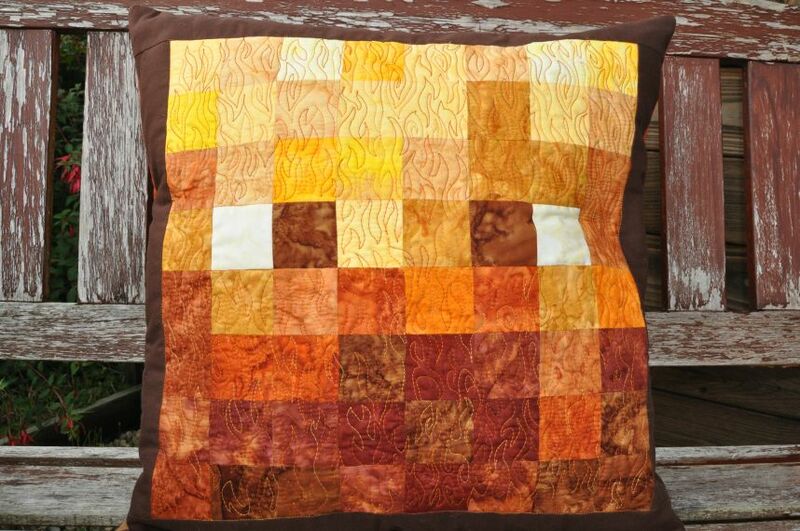 your quilting of the Frozen cushion is really lovely. Previous Previous post: Let it go, let it goooo!